StarCraft II Expansions, Diablo III Coming in "Next Few Years"
While StarCraft II, an upgraded Battle.Net and World of Warcraft: Cataclysm are all firmly pinned down to 2010 releases, Diablo III, StarCraft II expansion packs and Blizzard's next MMO still show a release date of the "next few years". 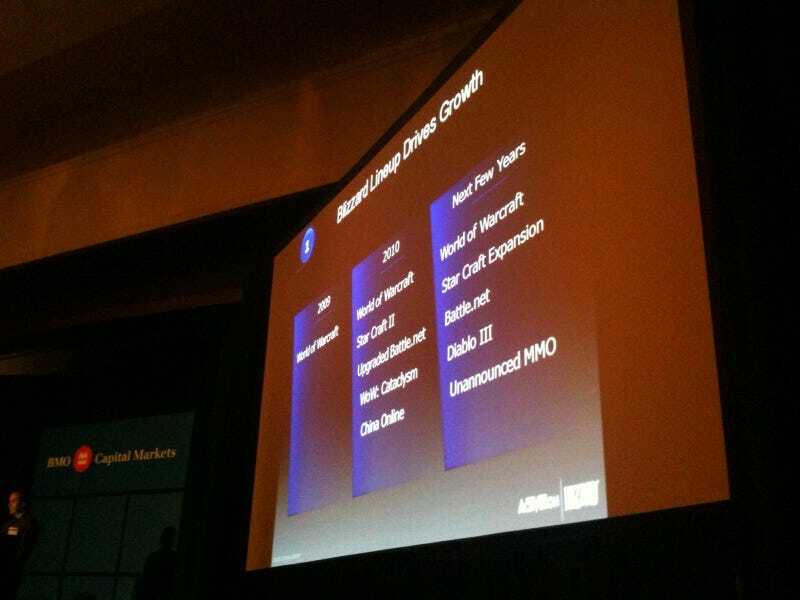 During a presentation in New York today, Thomas Tippl, Activision Blizzard chief financial officer, raved about the strong business done by Blizzard games. He said the division has a full pipeline of content, which he presented in the slide pictured here. While the lineup confirms continued World of Warcraft support and a Starcraft II launch in 2010 (with expansions to follow after), Diablo III was marked to be released in 2011 at the soonest.